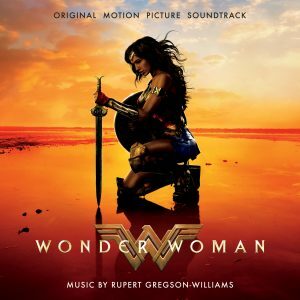 An Interview With WONDER WOMAN Composer RUPERT GREGSON-WILLIAMS! RUPERT GREGSON-WILLIAMS is a multi-award winning composer that works from his studios in both London and Los Angeles. 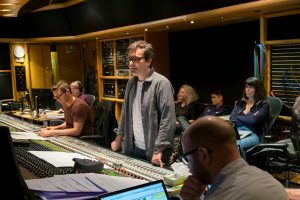 His latest work was composing the music for the latest superhero movie, Wonder Woman. It was directed by Patty Jenkins and stars Gal Gadot and Chris Pine. 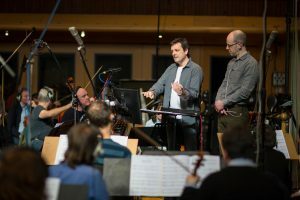 Gregson-Williams also scored the acclaimed war drama “Hacksaw Ridge,” starring Andrew Garfield and directed by Mel Gibson and the international hit “The Legend of Tarzan,” starring Alexander Skarsgård and Margot Robbie and directed by David Yates. When it comes to television, Gregson-Williams currently scores the original Netflix series “The Crown,” created by Peter Morgan, the Emmy-award winning HBO series “Veep,” AMC’s “The Prisoner” and Sky Vision’s “Agatha Raisin.” He received an Emmy nomination for the 2002 telefilm “Jack and the Beanstalk: The Real Story,” for Outstanding Music Composition for a Miniseries, Movie or a Special (Dramatic Underscore). WaterTower Music released the soundtrack to Wonder Woman on June 2nd. 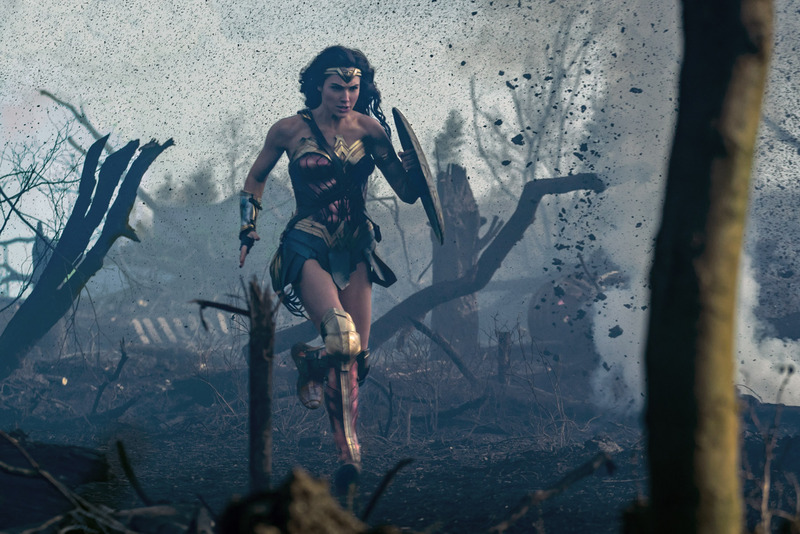 On his philosophy of the merging of the music with the storyline, Gregson-Williams explained: “Wonder Woman is an origin story; we meet Diana before she understands her powers, so her theme needed to reflect her innocence and naiveté. She moves from young girl to a woman who knows her path through the journey of the film. Well first of all, congratulations on all the success Wonder Woman is having right now. What was it like finally seeing it in its full completion for the first time? 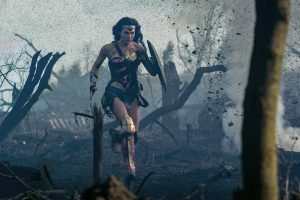 Well, I saw it completed in London just with about five or six of us with Patty Jenkins (director) and it was exciting but nothing like watching it with a big crowd in Los Angeles at the premiere, which was just phenomenal. It was a great experience! It was with a trendy crowd since it was the premiere but we got all the reactions and more than we were hoping for really. When you first signed on to compose the music for it what did you do first? What was the very first thing that you did? I spent some time with Patty. Before I wrote a note we sat down and we talked about Diana’s character and Patty was really keen to make sure I understood the journey that the character was taking before I wrote a note. Once that was out of the way and we spoke every day after that, I sat down and wrote the opening scenes and some of the end scenes because of our conversations had been about the journey and Diana’s development as a superhero so I felt I needed to find where we started and where we ended up and once I got that right, I knew how the middle went. Did the overall feel and tone of the movie really really come at you pretty quickly on? 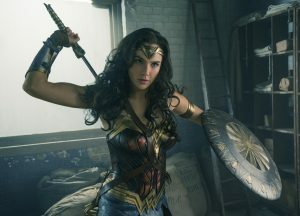 Gal is superb and as you know. She’s very relatable, likable, fun, strong and all of those things. I got that straight away. There’s no need for explanation from Patty really. I watched it with her the first time I guess six months ago maybe and it was in the early days and they hadn’t finished the film yet but you know I loved it then. I read that you had a conversation with Patty about the colors that she felt matched each character, how did that help you when it comes to music? It helps a lot actually. It helps not to talk technically about music unless you’re talking to actually another composer. It can get confusing but what would patty would do? Two things- she would talk about the story of course and how she believed the characters should be portrayed or shouldn’t be. Then colors are a good way of communicating because you know you’re not saying I like cellos, I like double bases but I don’t like violas you know or anything which can be confusing and misconstrued but if you’re saying I really like warm colors for this character, I don’t want anything shrill, I want to feel compassion for this character at this point, that really helps me. I’m not talking literal colors like yellows, browns, or any sort of depths of tone really. She was very clear about that and you know sometimes at the beginning I would think oh you know maybe I’ll try something else and often and most times Patty was right, she got this vision and she was right. How quickly did the music come together for this film? Was it a normal length of time that you spent on it? I’d say for something with so much music, it’s a two hour film plus and a fair amount of music in it and so we could all have done with another couple of months I’m sure just because you find in these big films with a journey you discover things you know? Not to say that I discovered anything the day before we recorded or anything but you discover things along the way and you try and inject that into things that you’ve written earlier. I don’t know if six months or something seems quite a long time but just enough. Was there ever any discussion about using the theme song for the original Wonder Woman TV series at all? No there really wasn’t sadly. I think that it would have been a bit of a distraction for me in all honesty. I’m curious how composing the music for this film has been different from any other project that you’ve worked for. Do you try to look for something that’s going to be different from what you’ve done before? I didn’t consciously try to do anything that I hadn’t done before. I didn’t wrap myself or constrain myself in any way, I guess it’s different. I’ve written scores for heroic characters before, but no super heroes. If you asked me this questions eight months ago, I would have said that Axel Ridge (from Hack Saw Ridge) was a super hero in his own way. But, he was spiritually desperately strong but not in the same way that a super hero like Wonder Woman is. That is what’s different. Also, what was interesting about Wonder Woman is that Patty really wanted to make this film in a certain way. She set out to be all about the emotions. She encouraged me to do the same. That is different from a lot of film making these days of course. Growing up did you always want to do this? Was this always something that you thought about doing? Music for sure. Absolutely always from the youngest age that I can remember. I’m the youngest of five and everyone in my family is a musician and my parents were as well. So, everything was music. I probably didn’t get into performing rather than writing until I was in my teens and at that point I realized I was never gonna be a good enough performer to make it. There’s so many great people out there and I didn’t have what it took. But, also I became obsessed with improvising and what have you and composing. And then movies really. I didn’t become really interested in movies until my late teens. I always loved movies. I always looked forward to a John Williams film and some of the classics in the 70’s and’80’s. I loved them. I didn’t really recognize the power of film until my late teens, I have to admit. That’s a long time ago now, I hate to admit. Do you remember the first piece of music that you created? I do actually and I can still play it. Yes, I do remember it. It’s some of my best work. (Laughter) I remember the first half of it anyway. I was probably about seven. As I’m saying it, I think I might have been a bit older because the inspiration was a girl. So, probably at seven it would have been a bit precocious to know about love. Perhaps I was nine or ten. What do you think has been like a favorite moment or a favorite experience you’ve had through all of this? All of these films and TV shows that you’ve worked on … Is there something that you look back on as one of like an incredible favorite moment? 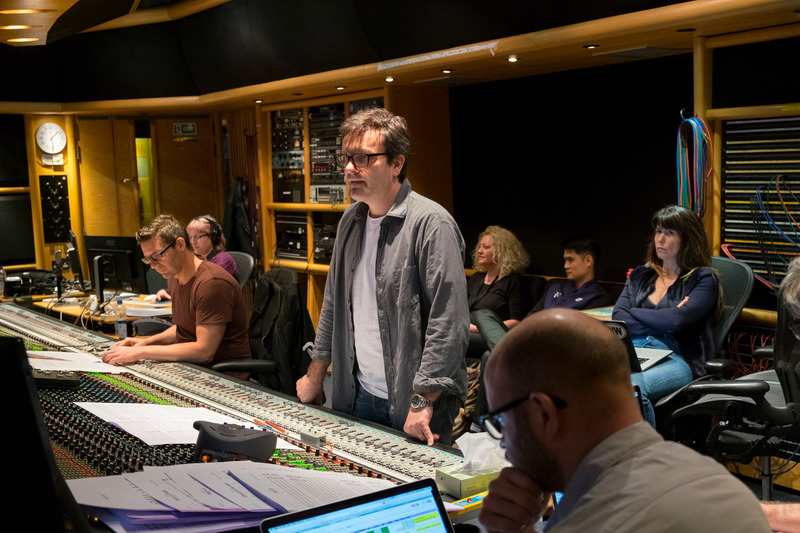 Incredible moments are when you stand up in front of an amazing orchestra and count them into a piece of music that you’re proud of and the director you’re working with loves and everybody’s something that fits. That is an extreme emotion which is wonderful. Also, a couple of special moments were where I’ve been on my own. Which actually happens, hopefully, on every film, it’s that moment where you have lots of doubts and long hours of, “Oh, will I be able to do this?” And then, suddenly you have some idea that you think could really be great and help the film and something that you haven’t thought of before and there’s an excitement. I guess it’s probably similar to the excitement of jumping out of a plane with a parachute on your back. That is a great feeling, a wonderful feeling. I’ve got other memories that I’ll always remember. One was with the director Pierce Hughet. He is an English director. We did a film called Thunderpants about a boy who has this rocket and we also wrote an opera together. I’ll always remember him dancing around my studio singing the opera as I wrote it. He wrote the words, I wrote the music and that’s a precious memory for some reason. Are there any composers or other musicians that come to mind that you kind of look up to for inspiration and you really admire what they’re doing right now? I have all sorts of admiration for Hans Zimmer who was my mentor for many years and still is as a human being as well as a composer. I’ve always loved the way he pushes himself to do the best he can or to push himself so he can really find the age of where he’s at. I love that about him and his enthusiasm for the whole job. I’ve got admiration for so many great composers. There’s just some beautiful composers around. I wouldn’t want to mention six of them because I would forget the seventh. At the end of the day, I’m sure you hope that when people go see your films and these TV shows you’re involved with you hope that they are connecting with whatever’s on screen. Is there anything else that you’re hoping that people take away from your music? Well, I hope that they’ll like a melody that I’ve written once or twice. When you write loads of melodies in your life, if you can write one or two that people can connect with in the same way that you did when you wrote it. I love that people will hear the music and feel that. Perhaps it’s because it was a simple thing to write or get all the drama and pain and politics and what have you that came before that created the music. That’s always an interesting thing for me to see. What are you currently working on now that Wonder Woman is all done. Are you on to something next? Or are you taking some time to relax? I’ve got a couple of things that I’m halfway through. Well, once we finish The Crown anyway. I am now working on the second season of The Crown which I love working on. I love Peter Morgan and Stephen Daldry was here at my house yesterday working on nine of ten episodes. That’s the best TV you could possibly ever wish to be involved with. I’ve got a couple of projects that are very exciting which are probably best not to talk about at the moment. I’ll always keep my lovely connection with Dreamworks animation. Animation I’m doing a couple of years in advance. Two years down the line, but I’m involved in it now because the music is very important. It’s really lovely too. Blues-Pop Singer-Songwriter ZZ WARD Entertains A Packed Crowd at LA’s Roxy Theater! The Los Angeles-Based Artist WELFAIR Discuss New Music, Favorite Artists and More!